Praia de Odeceixe (beach) is located at the mouth of the Rio de Seixe (River Seixe) which forms the border between the Algarve and Alentejo regions of Portugal. This is the northern end of the beach which has a wilder appearance than the main beach. 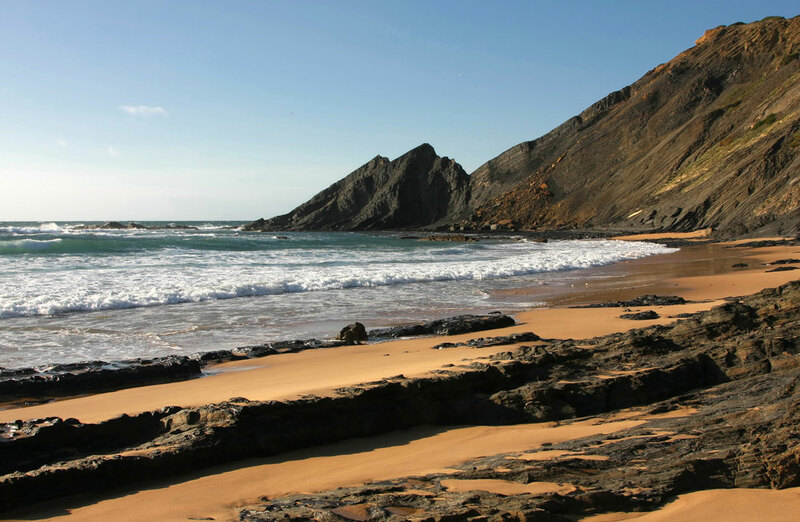 The southern end (Praia de Adegas) is a naturalist beach. Praia de Odeceixe has been awarded the Blue Flag award on a number of occasions for its cleanliness and facilities. Aljezur is a small market town of whitewashed houses and cobbled streets located thirty kilometers north of Lagos near the border between the Algarve and the Alentejo in south west Portugal.